Hot statistician for sale. Act today! I can derive the Omega equation, can tell you why clouds float, and I know what number comes after א0, but I couldn’t sell fire to an Eskimo. Not for lack of trying. That’s item one. I don’t recall who, but a gentleman once commented on a post here that business knowledge and expertise was entirely different from scientific and engineering knowledge and expertise, and that scientists, bright fellows all, assume that because they have mastered group theory and Feynman diagrams that operating a business is a cinch. Monsanto just bought The Climate Corp., née WeatherBill, for a cool nine-hundred-and-thirty million-with-an-M bucks. If you’re like me—and you may thank the good Lord you are not—your immediate thought was…those cheap so-and-sos couldn’t come up with a lousy extra seventy million? Climate Corp. specializes in “Using ‘hyper-local weather monitoring,’ predictive models and other data to help farmers make optimal growing decisions”. In other words, taking the output from skillful climate models—those out a month or two have skill (in the technical sense)—and blending it with weather to produce better weather forecasts. This idea—better, more precise and tailored weather forecasts—was so good that I and a couple of friends set up a company to sell them back in the 2000s. Called ourselves Gotham Risk Management. The technical side of the biz wasn’t difficult. Creating a database, building automatic models, a website of course and all that held no mystery for us. Shyness, as anybody who has ever been within one hundred standard English yards of me will confirm, is not my problem. Knowing how to convince people to part with their money is. Here I had this tool that would let people price their weather insurance and climate derivatives more correctly, that would make them more money than it would cost, but I couldn’t convince anybody to try it. It didn’t help that the futures market in heating and cooling degree days in Chicago had froze solid—literally, trading ceased entirely because of the naughtiness originating at Enron. But that’s no excuse. Item three. So I had another terrific idea that would track people’s predictions and rate them in an optimal way. Doesn’t sound much, until you tie it to something practical. How about sports betting? With a company called (at first) EdgeHogs, we tried. It’s easy to make accurate sports predictions, but only for games which any clod can guess. University of Michigan v. St Peter’s Boys Junior Academy? Better get that one right. Tight games are hard. The optimal rating takes these kinds of things into account. We did all the big sports. Everybody, including pros, entered guesses into the system and were rated, using a bevy of statistics about moneylines, Vegas odds, and all that. So what? Well, exactly. The idea the guys with the money had (Yours Truly has an amount close to the subscript on the first kind of infinity mentioned above) was to make the business into a social media phenomenon. Get rated for bragging rights, win prizes. Didn’t fly. Social media is saturated. Idea is still good, though, and should be applied in a way such that better predictions are produced from knowledge of how old ones fared. These superior ones can be sold. Money, baby. And it doesn’t have to be sports, but how about stocks? Or even weather predictions again? Item four. My latest mission has been to tell people who routinely use statistics, mainly marketing companies, that the results on which they rely are too certain. Being too certain means suboptimal and even bad decisions are made. And don’t people want to know that? Well, my selling talent has proved itself again. Either that, or it turns out people really do want to be too certain. Gist? There’s much truth in the old adage that those that can’t do, teach. As an equity trader I am thankful for your comments, thoughts and enlightenment.I truly appreciate you taking the time to explain complex ideas in simple terms to a curious person like me. Dare I ask how you were expecting to be summoned to provide assistance? Phone, searchlight or both? On a more serious note, I once worked for a company who, when presented with a new idea, had one of two responses to a single question: Are our competitors already in the market with this widget? If they were, then there was no point in entering an already ‘crowded’ market, if they were not, then there was obviously no market. They didn’t stay in business for too long. Telling a prospect you can help them do the things they’re doing, perhaps expertly doing, even better to reap even more profits is palatable. How the *&&#($#!!! can you assert that!!!! MAYBE you’re right, and maybe, just maybe, the stats expert they’re using is doing it right. Telling people you don’t really know they’re doing it WRONG is no way to endear yourself. NOBODY likes to hear that put so bluntly…even those desiring to improve. Besides, in a tight economy nobody is going to want to request more funds (or explain why they spent more for the same thing) to hire some guy to fix what they’ve been doing wrong–telling their boss they’ve been doing it wrong (i.e., “fire me please”). That’s an avoidably tough sell. Telling them that no matte how “expertly” they’re doing it you can get them to do it significantly ($$$profits$$$) better has a better chance of getting their attention. Ya gotta see things from the other party’s point of view. (this, by the way, is at odds with the “golden rule” approach of using oneself as the point of reference — to be effective, esp in sales, one needs to see things from the other guys point of view and work accordingly). One VERY good book for sales (especially a logical-at-the-expense-of-intuitive-&-emotional-based-thinker such as yourself*) is: http://www.amazon.com/Consultative-Selling-Techniques-Financial-Professionals/dp/0130834459 by Gretz & Drozdeck — even if your niche is not financial services, specifically. Nightingale Conant (NC) has a lot of good stuff http://www.nightingale.com/ — Zig Ziglar & Brian Tracy, for example, have good sales references in the form of audio lectures that stand the test of time. Buy from NC or see what they’re offering & use the library. (NC also carries a lot of garbage topics…too…so just because its there doesn’t mean its necessarily credible). * You would benefit also from the insights provided by ‘The Ropes’: http://www.amazon.com/The-Ropes-Skip-Know/dp/0471841935 This explains why organizations operate illogically, persistently. It’s something to accept and deal with as a fact of organizational nature–like the weather–not something to bemoan & criticize constantly. Related to that is “The Power of Persuasion,” by G. Ray Funkhouser: http://www.goodreads.com/book/show/5341381-power-of-persuasion (the author was an original co-author of ‘The Ropes’). If there are other books ‘out there’ that explain, in simple terms, the harsh realities of workplace dynamics as well as the above I’m unaware of them. Publishers & academia prefer books that “sugar-coat” reality — reasonable for teaching the basics, but, ultimately unrelated to reality. Example, Fisher & Ury’s famous book, “Getting to Yes” (from with the “win-win” solution is advocated) completely omits the curious personality types, all too common, that work very hard to ensure a “win win” outcome does not occur–this appears irrational until/unless one understands their perspective on “rationality.” Anyone engaged in a negotiation with such a person will gain no benefit whatsoever, and may be at a disadvantage, following the advice of this best-seller. Funkhouser’s book explain this — without any psychobabble — and is, to my knowledge, the only book that does so well. The real world has ugly facets unpopular in academia & this & Ritti’s ‘The Ropes’ tell it like it really is. @Ken — I wish I could truly internalize what you just said. I have been telling myself the same damn thing over and over and repeatedly fail to recognize the foolishness of thinking that the obvious should sell itself. I had to sell a house 10 years ago. The storm door glass was broken. It had been broken for 5 years because we broke it moving in. What to do? Leave it and have someone comment on the broken glass. Replace it and pay $200-$300 in the process. OR.. Remove it.. No one notices a storm door that isn’t there. They didn’t notice it was missing. I didn’t notice the missing screen door on my new house. I still haven’t remedied that. I have specialized in a field that is completely irrational. Identifying why I don’t need X. Telling people they don’t need something will never put a penny in your pocket. Exactly who is going to hire you. This is why http://www.stillspirits.com makes me swoon a little. I presented some blackberry wine and apple jack I made to a friend. We drank. We got a little tipsy and realized neither of these homemade products were terrible. Why should I worry about making a perfect product? There is no such thing. A product someone will pay for is all you need. 1 bottle of hooch can be traded for something I really need like several dozen eggs. No one wants to hear that their ideas aren’t worth following. one of the primary things an engineering degree gives you though is the ability to say “Unless you have some trick that gets around the laws of thermo, we shouldn’t chase your dream of free energy!” Telecommuting would be a trick to minimize energy consumption. That might almost get you to the “free energy” idea. The person chasing the free energy idea ain’t gonna listen though. If that person is willing to transfer resources into your account for helping him chase the impossible, will you do it? Teaching and doing involve different skills? No surprise there. I suspect being a race car driver and an auto mechanic involve very different skills as well. There is no end to the list. I would say instead that scientists, and especially humanity professors, think that telling other people how to run a business is a cinch, but very few would be foolish enough to try it themselves. The armchair quarterback effect. I especially like the Edison quote near the end. There is also this Mozart anecdote dredged from the cobwebs of my mind. See, I was no help whatsoever, but we both knew that going in. It’s hard enough selling something you believe in. 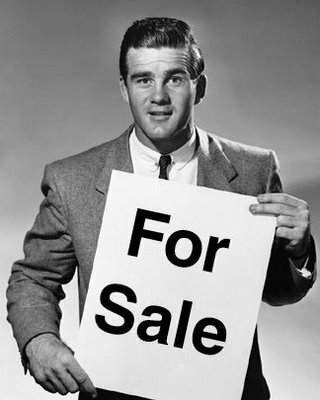 True salesmen can sell things they know are junk! It’s also a skill that comes in handy for grant writing. There are, I believe, things-people and people-people. I am the former, and while my engineering expertise is tempered by an MBA, I’ll never be the latter. I’ve struggled monetizing inventions and ideas. I’ve failed, not for lack of effort, but because I don’t do people well. A business savvy people-person, skilled in the art of understanding need and value, is what I’ll include on my invention team, next opportunity. Selling is an art and I’m not that kind of artist. Don’t be too dismayed. I have an MSEE and my IQ is bit higher than my body temperature. My wife is not a contender in the IQ contest, but she sells real estate and makes a lot more money than I do. If you have studied psycometrics you learn that only about 2% of the population has the ability to make a living in sales and that 2% makes lots of money. I went to see these people over 20 years ago to find out what I was good at. The easy solution is for you to hire a salesman. Sounds as if you need some simple knowledge and skills, that will enable a transition that many have undertaken before you. I have spent the last 6-7 years successfully helping more than 200 scientists, mathmeticians, and statisticians at two of NZ’s largest Crown Resarch Institutes engage better with their customers, with the purpose of improving their offers and increasing revenues. In my language, we help with sales, market research, and negotiation skills. Framing sales as “helping long term customers to make sensible purchasing decisions” changes the way in whch “sales” are perceived. If the customer relationships are long term (the long shadow of the future….) then it is easy to see that fair ground hustling or door-door techniques are not part of the agenda (and this is reassurng to many scientists). Scientists who overcome one or two natural barriers make excellent and committed “helpers”. Scientists are well equipped to identify customer needs, understand the effect of needs, get approval to present the offer, help the customer see that the offer removes/satisfies the effect of the need, show that it represents good value for money, and that it is differentiated from the competition. Asking questions is a skill that comes very naturally. Questions, not statements, are the most important tools in the toolkit. Scientists are excellent posers of questions, just one issue, to a scientist questions are of interest when answers are not known. We use questions when selling to “heighten customer’s awareness of their own needs” (from earlier market research we already know the answers), or “to ask about impacts and consequences of not meeting those needs needs” and of course to ask for the business. If a seller of an idea enters a customer conversation by excitedly presenting his offer, unless he/she is extremely lucky, the result is most likely to be “thanks very much for coming, very interesting, we’ll get back to you if ever we need it”. (This happens even if the market research tells us they have a screaming need for it). A two day course gets the knowledge transfered easily enough, but like any skill, practice, and feedback from coaches, colleagues and customers is critical. It is true that some people are better than others in sprinting, math, chess, beer drinking, wrestling etc. But most people with at least a little ability can be competent at most things, including sales if they apply themselves. It does not help telling oneself “I am bad, hopeless at something” either. It all starts with a plan. Sometimes it doesn’t matter if the plan is good, or bad, just as long as you can recognize whether the plan is working, and then being able to change to meet the market reality. My old sales manager told me how he manufactured the story of his selling weather. So, at a bar in Phoenix one night, he explained to his female target that he sold weather across the country. Since all US weather starts in California on a Sunday, he started in California every week, making his way across the nation to a few key cities selling his weather forecasts. His forecasts were always correct since he had experienced that self-same weather in California. I don’t know if he sold her on the idea, but that subject was not in contention that night. He was pretty good at sales, anyway. I fully agree with ‘BrianD’. It’s eminently fixable. Please give him, or somebody like him, a look-see. Your ideas — your inventions — are so good, you just need a story, and timing, that activates relationship, fear, need, and gratitude. After all, the story of getting the Xerox machine to be successful took a whole book to tell. And here’s a link to the story of a scientist who was able to recruit adult men into volunteering to be subjects in a year-long study of prolonged starvation. I may have given the wrong impression. I don’t want to learn how to be a businessman. I know my limitations. But I don’t mind being hired by or working with one. I’m more than happy to be behind the scenes and take orders. A story about a salesman: a friend of mine started out selling knives door-to-door using the opening line, “Do you know how much meat is wasted cutting with dull knives?” Didn’t sell too many knives. He tried selling vacuum cleaners by dumping dust on a rug and then sucking it up with his demo model. Didn’t sell too many vacuums. For a while he bought, fixed-up, and rented distressed houses, but found that hiring a big hairy guy to collect the rents cut into profits too much. Eventually he started importing diamonds and selling them out of his car. Eventually this developed into a multi-state retail business with a number of stores. When he passed away much too young a few years ago he was a millionaire several times over, even after being very generous to charities. My friend was a born salesman, but even he didn’t succeed until after a number of failures. His greatest skills, however, were generating ideas, the unwillingness to give up, and a joy for life that constantly bubbled over. That’s what did the selling. My scientists, mathmeticians and staisticians remain completely committed scientists, mathemeticians, and statisticians. Its just that when the occasion demanded they became very much better at dealing with their funders, and other customers. You know what? You all buy stuff. Expertly in most cases. Just systematically understanding their own expertise as buyers made them better sellers…. I worked for the Marketing department of a large American big box retailer. Most of the marketing mailing lists were compiled based on “gut feelings” and simple things like gender. We contracted with a large firm that owns tons of personal data on every American, and what models did they produce? Regressions that supposedly gave “propensity to purchase X” based on things like purchase history, whether they’ve clicked a box that says they are interested in X, etc, all combined with magic “coefficients” (with six decimal places). I built th IT side of the process, converting all these formulas to SQL and running millions of customers through the scoring mechanism. I have very little faith that the scores will make much difference – especially after finding out that these scores have many inputs which are themselves the result of statistical models. Business hires people who say they have the answers – not the person who says that the world is not so predictable. Humans, in general, want to believe that every cause can be known. In business, those that “make the right decisions” are rewarded, even if the result was due to pure luck – so the people at the top most of the time end up with an overinflated sense that it is because of *them* that the company succeeds (note that failure is always blamed on external sources). Selling to people like this entails telling them they are great. Back in the late 90s or early 2000s a very potent form of heroin was finding its way to the street–this was “cut” (diluted) with some toxic chemicals and many users were dying. The “buyers” of this stuff didn’t perceive the extraordinarily high risk of death as a negative–they perceived it as an indicator of just how good and potent that batch of heroin was…which translated into increased demand, increased price-per-hit (and increased deaths). Most of us would likely conclude that a “rational” drug user/abuser would avoid the batch having an abnormally high risk of killing you. Most of us are wrong. Again, “logic” and “rationality” and so forth is in the eye of the beholder and one MUST understand and engage their customer in terms of the customer’s perception and values (values are fundamental)…NOT what one thinks is objective logic/truth/etc. And certainly not assume that the values we hold are universal or even universally applicable. Even if those values “should” be universally held, they are not unique in the real world … and as soon one presumes they are, or can be applied as if they are, one has enter the realm of philosophy–the neighborhood one block over from superstition, around the corner from myth and down the road from outright fantasy. It’s logical consistency is comforting, though contrived, and as such it is a place unrelated to the real world we all inhabit. If you’re looking for a referral, I can help you out. Keep in mind you may have to make compromises when you take orders. Just let me know and I’ll e-mail you.